by Thomas Chung on Feb 14th, 2008. 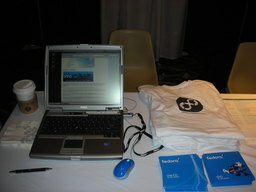 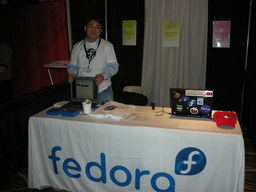 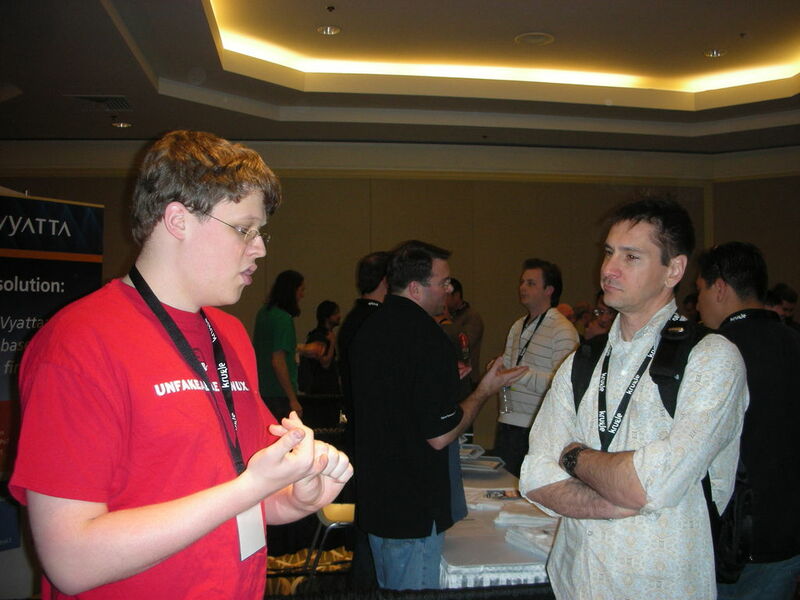 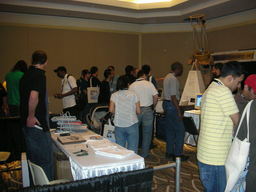 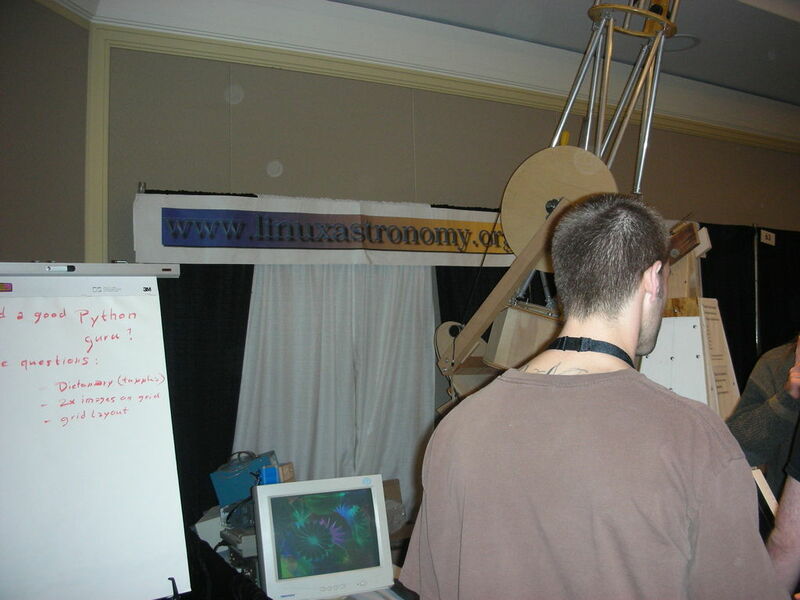 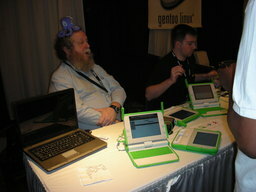 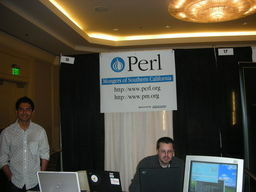 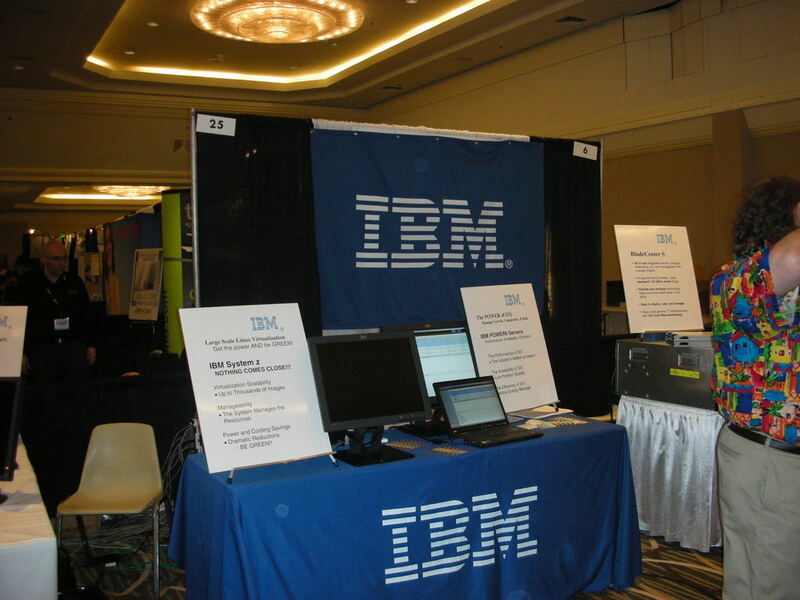 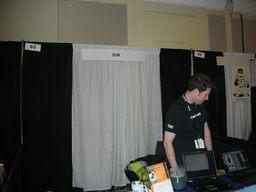 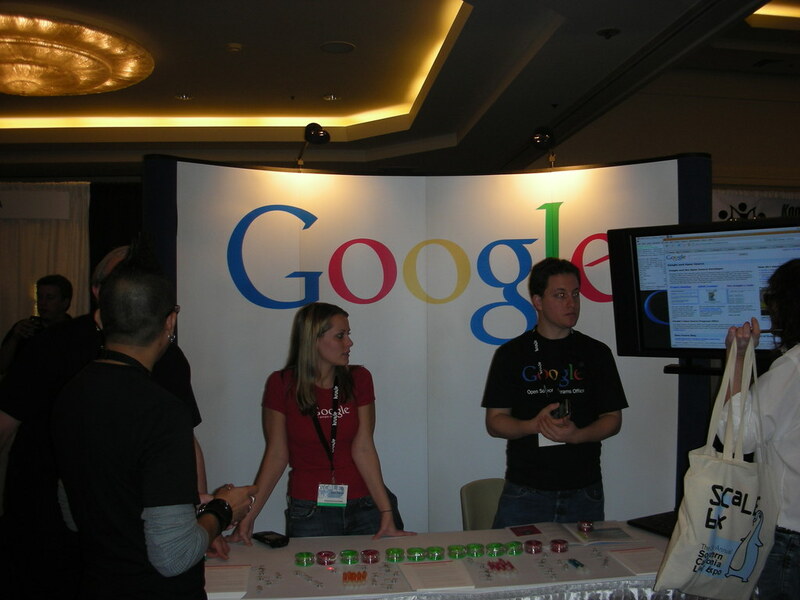 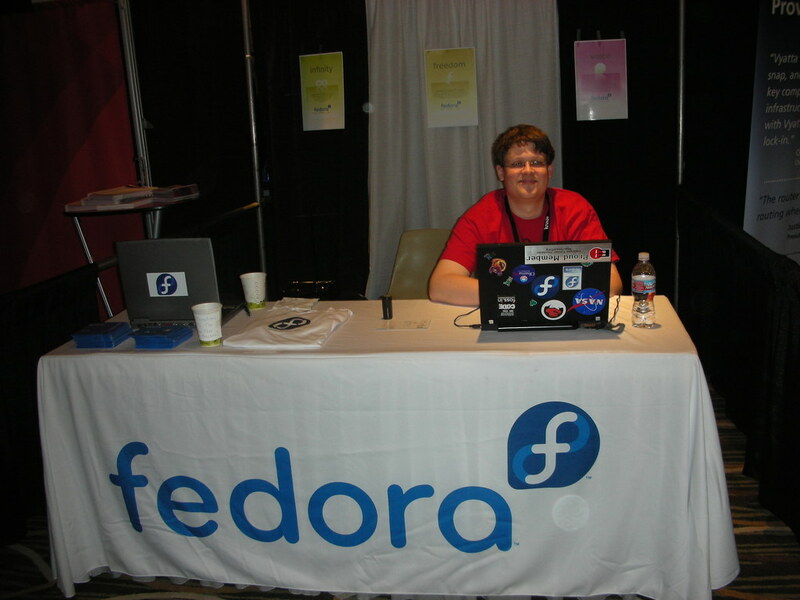 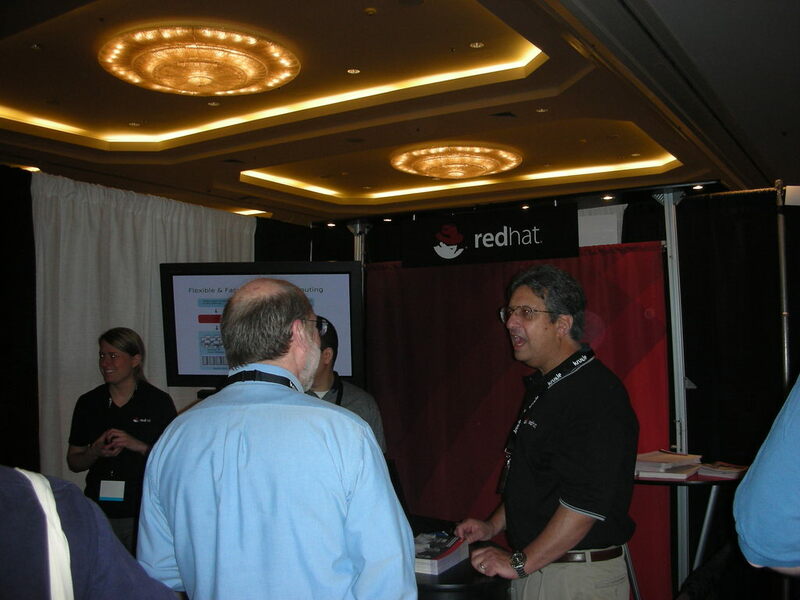 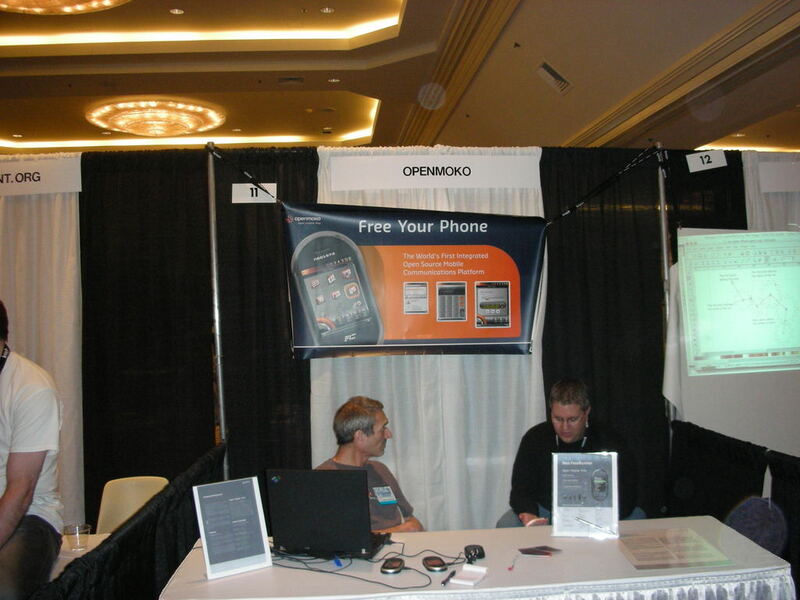 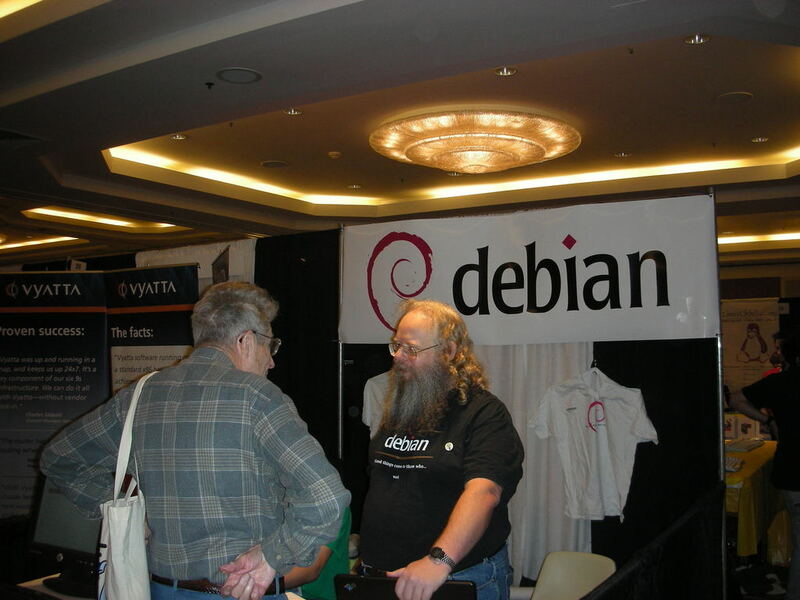 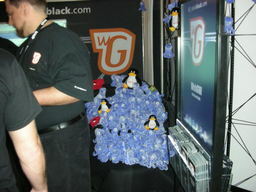 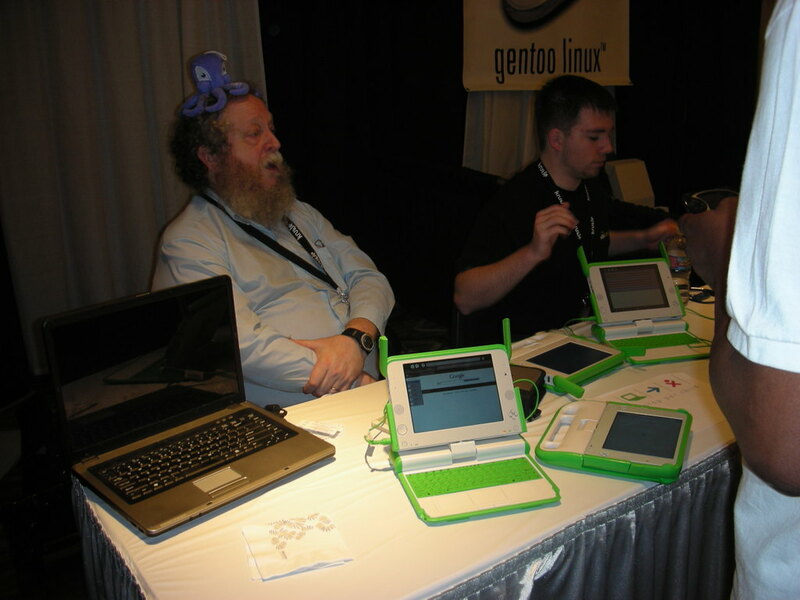 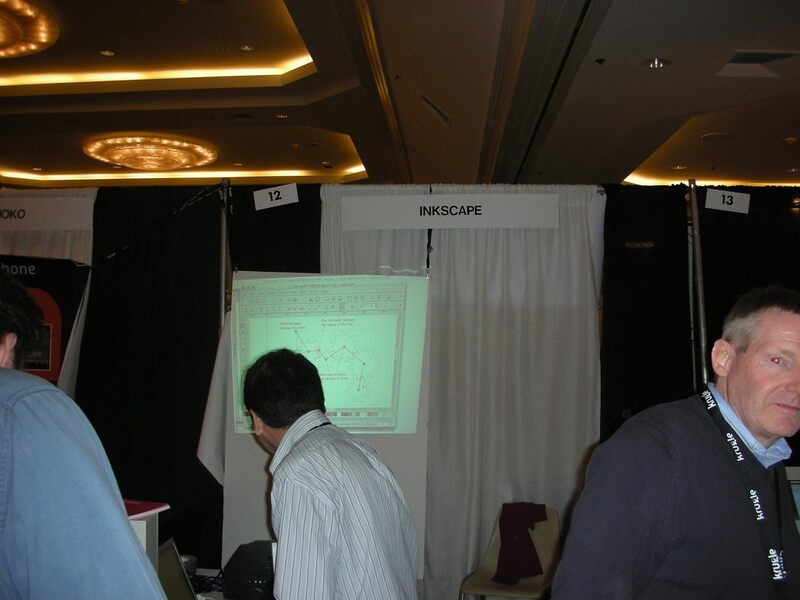 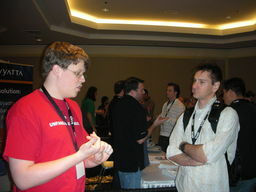 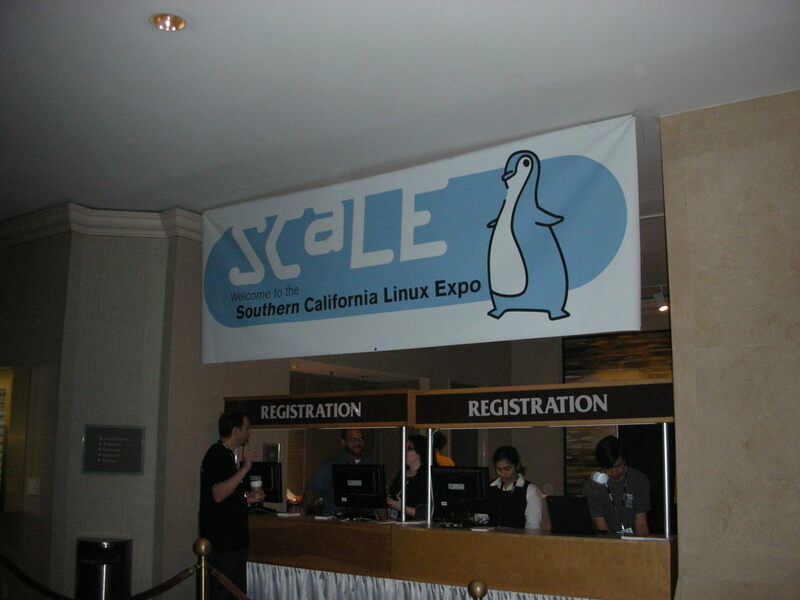 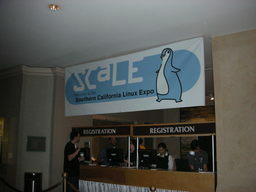 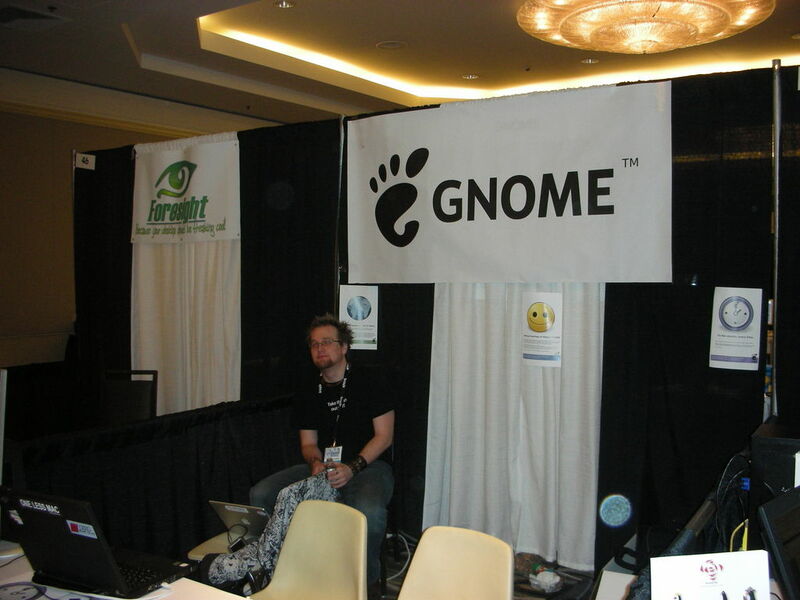 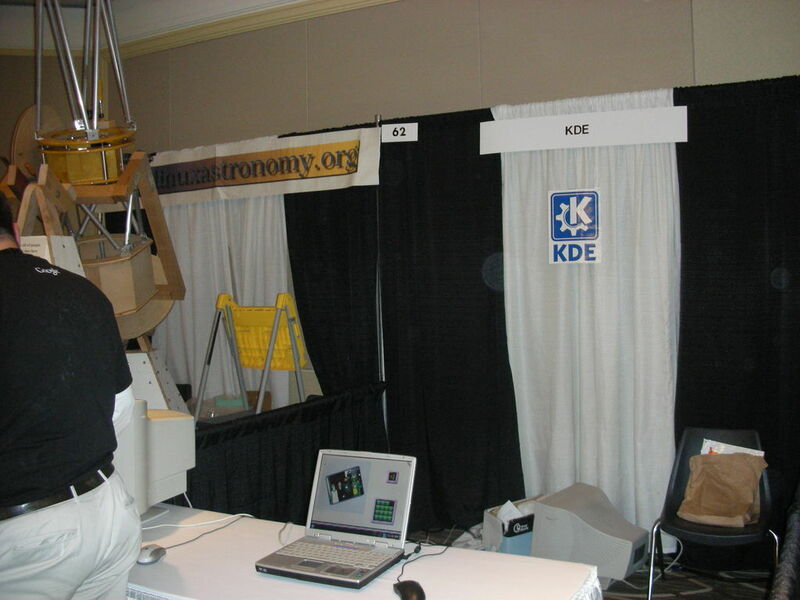 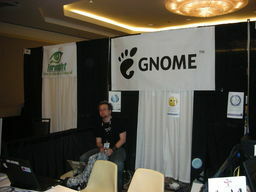 The sixth annual Southern California Linux Expo has definitely has grown. 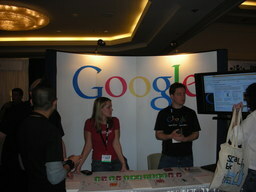 According to its staff, they were expecting between 1200 to 1500 people for three days events. 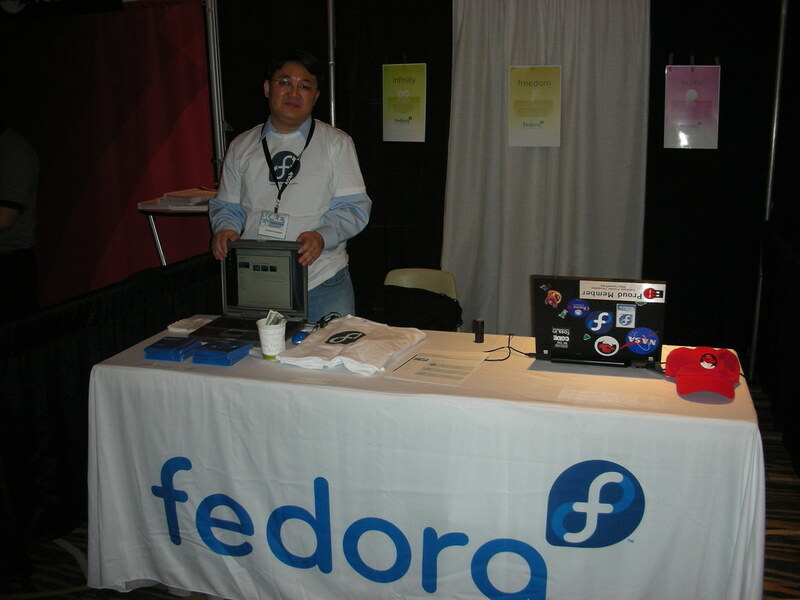 In our Fedora Booth, here we have Tom 'spot' Callaway, our new Fedora Engineering Manager and Thomas Chung, a Fedora Ambassador for Southern California. 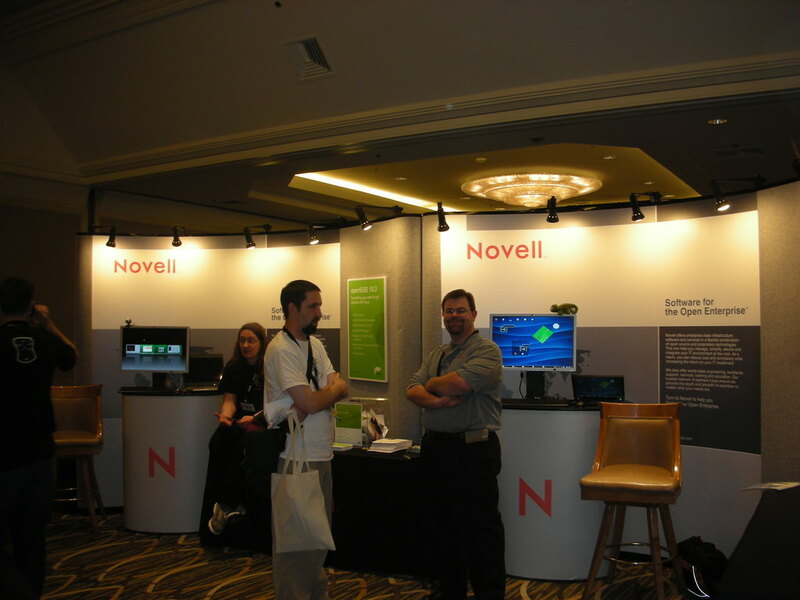 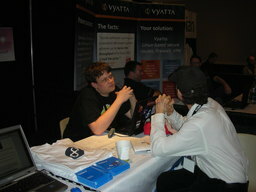 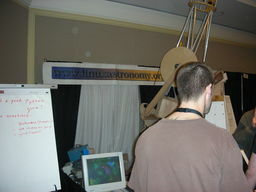 Here is Tom talking to users on the first day. 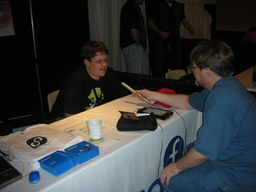 Here is Tom talking to more users and even interviewed by SCALE on the second day. 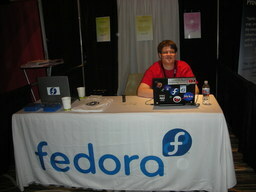 Here is my laptop running Fedora 8 Live image from a USB Flash Drive. 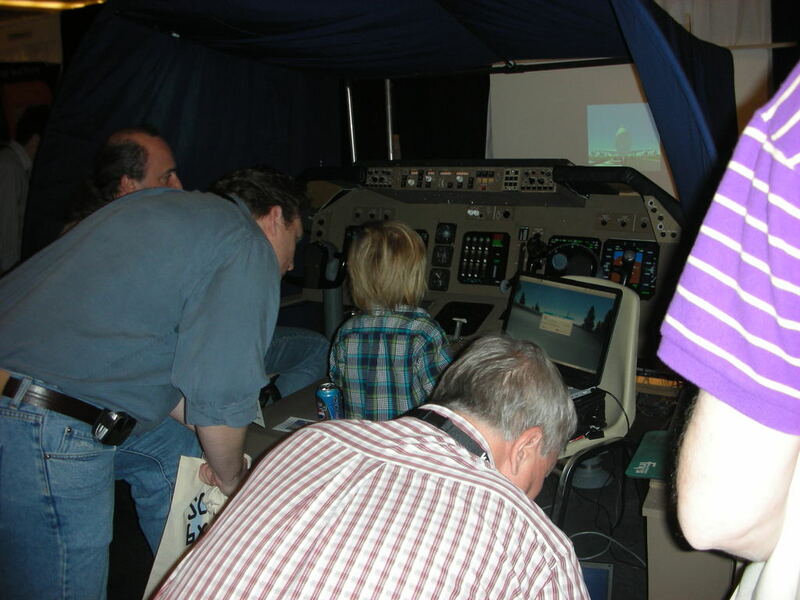 Here are some photos from various Exhibitors.